25 years after the closure of the plant The Bathgate Once More project is researching the story of British Motor Corporation/British Leyland’s truck and tractor factory and its importance to the people of West Lothian by gathering first-hand accounts of some of the many people who worked in the industry. More than 80 former workers and family members have been helping the project team to collect the history of the industry and present this in exhibitions (including an on-line exhibition on Scran), a book and an archive of oral history testimony, photographs and documents to be deposited in West Lothian Local History Library. 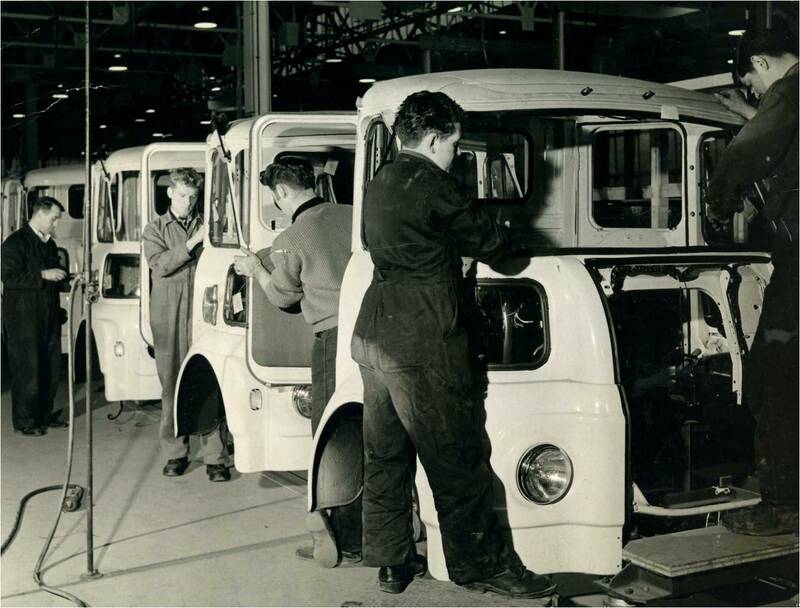 For 25 years Bathgate in West Lothian was at the centre of Britain’s giant motor vehicle industry. Today there is scarcely any physical evidence that this factory ever existed but its importance to the people of West Lothian lives on in the memories of the former workers and their families. The project team comprises the Workers’ Educational Association, the Royal Commission on the Ancient and Historical Monuments of Scotland, the Bennie Museum, West Lothian Trades Council and West Lothian Local History Library. The project is funded by the Heritage Lottery Fund. The children of Simpson Primary School which is now built on the site of the factory have also been involved by researching their local history, meeting up with former workers and writing songs about the plant and its workforce.